Who says that an escape to the beach is the only holiday where you can truly relax and unwind by the water? Or that you have to leave Britain to experience a completely unique family break? In our constant quest to find holiday destinations which allow us to completely de-stress and recharge our batteries, we rarely look to our own backyard for inspiration. Which is why there has never been a better opportunity to visit a CLC World Travel Centre and learn more about cruising our charming inland waterway network on a Canaltime narrowboat. Get ready to discover just how great Britain’s waterways are – at your own speed. The complete opposite to the fast pace in which we live our modern lives, on a canal boat holiday in the UK you’ll slow right down and feel like you’ve stepped back to another era – where today’s hectic lifestyle and digital distractions have been replaced by calm waters and glorious scenery. Aboard your narrowboat, all that matters is the present as you relax into the rhythm of gentle cruising: these classic canal boats travel at speeds of two to three miles an hour. Here, it’s just about you and nature as unhurried days are spent drifting through picturesque countryside. The biggest decision you’ll face is which charming waterfront pub to moor alongside for lunch – and what to sample from the menu. 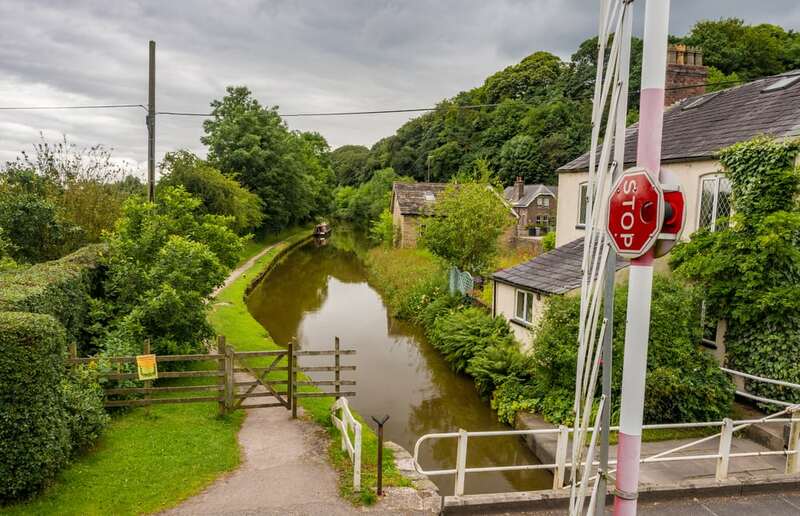 Narrowboat cruising allows you to reconnect with your family and friends and spend quality time together as you enjoy activities such as leisurely cycles along towpaths or fishing off the cruiser deck of your boat. As you journey along our country’s green corridors, you’ll also spot some of the incredible wildlife that calls these inland waterways home. What’s more, you’ll return from your holiday refreshed and recharged, with an even greater appreciation of just how remarkable Britain really is! 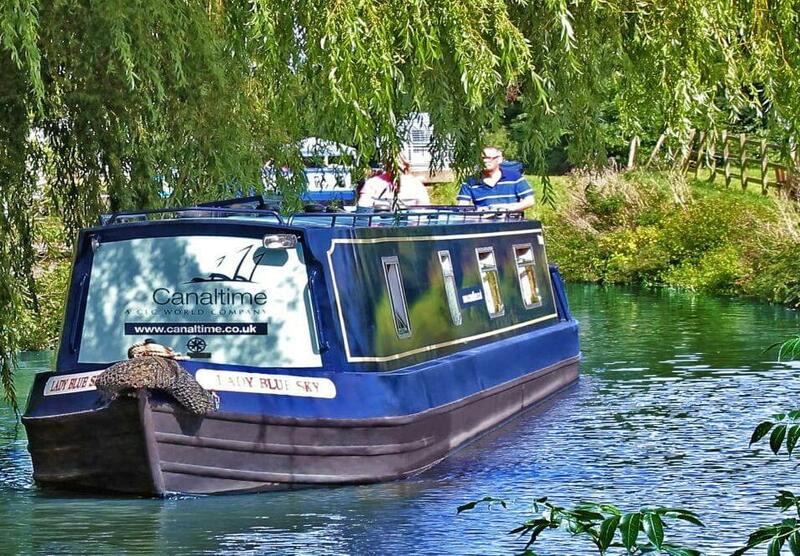 CLC World’s Canaltime fleet of 27 beautiful narrowboats is custom-made for holiday enjoyment: even the seating/dining area is found in the rear of the boat so no-one, especially those in charge of steering, has to miss out on meals and other social moments! Completely self-contained, Canaltime narrowboats are configured to sleep either four or six guests. Each boat comes fully equipped with a bath, shower and toilet; bed linen and towels; refrigerator, microwave, cooking utensils and equipment; and television/DVD player and FM radio/CD player. Animals are also welcome on board. CLC World’s Canaltime is designed for everyone – from narrowboat novices to confident canal cruisers – and, along with watching a short but informative video in the lead up to your departure, you’ll receive all necessary training in the marina where you join your boat. You’ll set off full of confidence, ready to hone new skills in old-world locks and traverse soaring aqueducts! 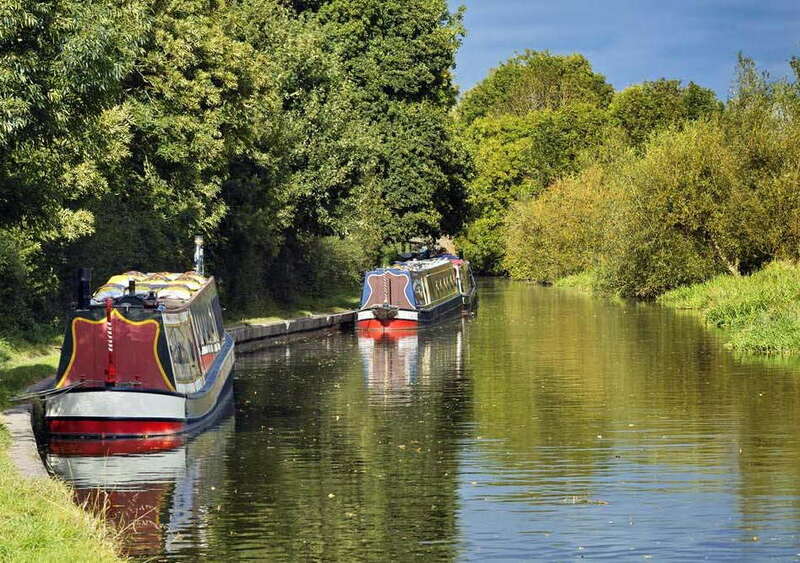 Cheshire Ring: This scenic 7 to 14 night circuit from Anderton Marina takes in the Macclesfield Canal – where it skirts the edge of the Pennines, the Trent & Mersey, Bridgewater, Rochdale, Ashton and Peak Forest Canals, and even the heart of Manchester where you’ll moor at Castlefield. A treat for those searching for a completely authentic canal experience, you’ll have the chance to navigate broad and narrow locks, aqueducts and tunnels. Llangollen & Return: This 7 night loop from Blackwater Meadow Marina through Shropshire into Wales and back is one Britain’s most popular, for good reason. Here, idyllic countryside meets an awe-inspiring feat of engineering: the Pontcysyllte Aqueduct, just part of the 11-mile Llangollen Canal, which is UNESCO World Heritage listed. Avon Ring: From Worcester Marina, a minimum of 10 nights is recommended to completely appreciate this circuit. As you cruise along the River Severn and Avon you’ll be transported back through English history and towns such as Worcester, Tewkesbury, Evesham and Stratford-upon-Avon. A license is needed for the River Avon and can be obtained en route.